Hidilyn Diaz wins the first medal of the Philippines with weightlifting in Rio Olympics on Monday, August 8, 2016. Hidilyn Diaz is a silver medalist at Rio Olympics 2016 — she finished with a score of 200kg at the women’s 53kg category in weightlifting on Monday. 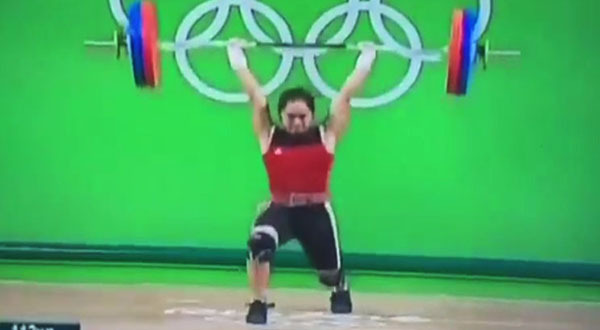 Chinese Taipei Hsu Shu-ching finished first for completing a total weight of 212kg, Philippines’ Hidilyn Diaz came in second with a total weight of 200kg while South Korea’s Yoon Jin-hee in third with 199kg. Watch Hidilyn Diaz’ winning moment at Rio Olympic 2016 on the video below. Full replay video from the game plus awarding ceremony. Diaz ends the country’s olympic medal drought since 1996 — Philippines’ last medal was won by Onyok Velasco in light flyweight boxing division. What can you say about Hidilyn Diaz’s win at Rio Olympics? Share your comments on the discussion box below.